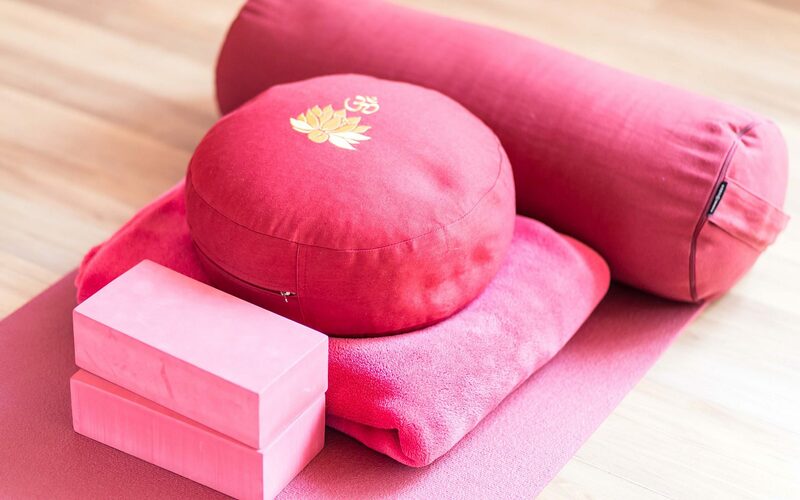 Whether you are practicing at home or attending a yoga class, you might want to get a few essential and also some cool yoga stuff to aid your yoga practice. Yoga apparel can consist of pants and a top that allow you to move with ease and be made of breathable and stretchy materials. When considering what fabric to choose, I tend to go with garments made from nylon because of its durability, strength and long lasting qualities. I also avoid clothing made from synthetic materials as synthetic has a very “plastic” feeling and is not breathable at all. You will also see that some garments will have some spandex. Small quantities are best (10% or less) as that will help with movement and provide comfort without it being too tight on your body. See The Fabrics that Work Best for Yoga post for more information on fabrics. Choosing the right yoga clothing really comes to selecting the highest quality possible that provides support, functionality and a fun look – style counts right? Yoga mats that are made from natural rubber help you to get a better grip and so prevent hands and feet from slipping, and reduce the risk of injury. Yoga mats come in various colors, patterns, and thickness to fit a variety of preferences. Most mats nowadays are labeled “Eco-friendly” or “Eco-conscious” which means they are latex-free and/or free of other harmful substances. 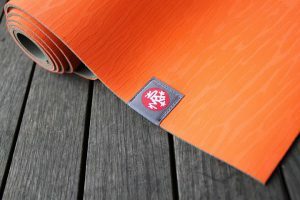 For a background on yoga mats see my From Tiger and Deer Skin to an Environmentally-Friendly Yoga Mat post. My preference since I began to practice yoga was to always have a high-quality yoga mat that was made as natural as possible. I don’t like the smell of plastic and often I get my mat sweaty when I am practicing Hot Yoga or any vigorous Hatha Yoga as this increases the smell of the plastic fumes which may even become unbearable. So, after trying several brands my favorite yoga mat and the one I still use today is the Liforme. The grip is super awesome and it supports me so well. I don’t have to double it up when I am leaning on my elbows or my knees. I highly recommend it! With some of the yoga mats, I found that I would slip easily if I didn’t use a towel on top of the mat. I also find using a towel practical whenever you have to use a yoga mat from a studio so it provides a hygienic factor which I appreciate. The one I recommend and I am still using during yoga classes is the Yogitoes yoga mat towel by Manduka which I bought from my studio. It’s a beautiful yoga mat towel with a print that always gets compliments. It has rubber dots that grip so I don’t slip and it’s really nice and soft. 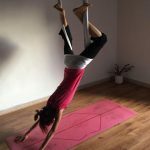 These are one of those cool yoga accessories that have become popular recently but you might not have heard of. They provide great traction when you are doing yoga and moving a lot. I find them helpful because sometimes my feet land off my mat and during hot yoga that might present to be a slippery experience. So, my yoga socks have definitely helped me to not slip. 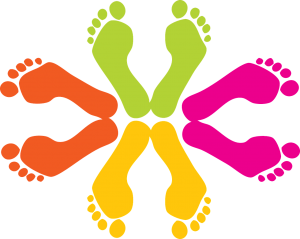 I am curious to try the ToeSox because they come with the five-toe design. It’s not fun having hair flop on your face while trying to hold a yoga pose. Using a headband will definitely help in keeping that unruly front hair in place and from sweat dripping down your face too. They come in various colors and patterns depending on what you are looking for and some will even work as a fashionable headband for after and before class. I stumbled on this practical and cool yoga accessory and it looks really useful when you are taking a lot of things with you. 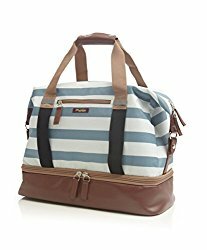 If you need to pack your mat, a mat towel, face towel, your yoga socks, a shower towel and a change of clothes, you might find it helpful to have a yoga handbag. The one I really have my eye on is the Po Campo Midway Weekender. If you have any questions or comments please feel free to drop me a line right below. You don’t even understand how invaluable of a resource this page has become to me! 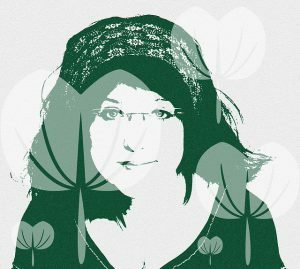 My wife is a huge yogi and is always looking for new products to implement. You’ve literally just given me the best gift ideas imaginable! Yoga socks! Who knew! I have been doing Yoga for a few years now but I am truly still a novice. Thank you for suggesting the yoga towel. I was reluctant to get one but according to your post, the one you recommend has grip dots which is a game changer. The Yoga socks though! I never heard of those, but I am looking forward to using some at my next session. I know right! I was surprised when I heard of yoga socks myself the first time. 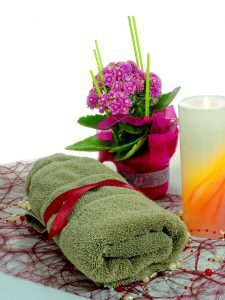 I am glad you like the Yogitoes yoga towel – I really like it a lot myself. Nice to know you have been doing yoga for a few years, what kind of yoga do you practice? Thank you for stopping by and please let me know how the towel and the socks work out for you after you try them.